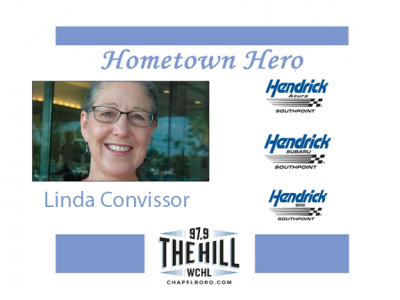 This week’s Hometown Hero is Linda Convissor, the Director of Community Relations at the University of North Carolina at Chapel Hill. She is retiring after over 20 years with the university. Linda started at the university in 1997 and her connection to UNC began with an interesting story.